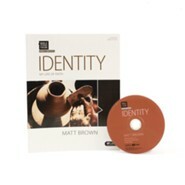 Identity: My Life of Faith Bible Study Book includes a small group experience for six sessions, applicable Scripture, key word study, and a life application section called "Live It Out." This six-session study supplies insights in response to the important question, "Who are you?" People define themselves by their role in a family, the work they do, their family history, or their interests and passions. For followers of Jesus, identity is wrapped up in who Jesus isand His lordship over our lives. Every other facet of lifewho we are and what we dobegins and ends with Jesus. As believers, we never lose our uniqueness in our various roles, but those roles are transformed by our life of faithour true, defining identity. Following Christ means following Him to the cross and dying to self. Believers set aside self-interests, often going out of our way to help others. This is because spiritual growth is integrally tied to relationships between believers and serving others. Service to others will become second nature to a mature believer. This may require stepping out of your comfort zone, but it is one of the most effective ways to bring the message of Christ to others. No matter what cultural or even physical differences there may be between believers, we become closer as the family of God when we serve one another. Believers fuel the spiritual growth of others when we love and treat others as we would Jesus. When believers carry out our family roles as commanded by God, we strengthen our families. And, how we serve our families, carry out our work, and live out our faith is a strong, consistent witness of our relationship to Jesus Christ. &bull; Understand that "dying to self" can mean setting aside self-interests and allowing Christ in you to serve others. &bull; See how embracing service to others can become second nature to mature believers. &bull; Develop stronger relationships with other believers. 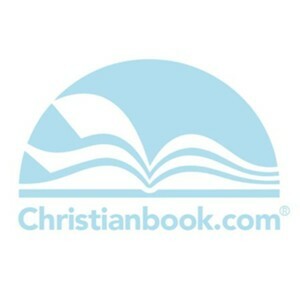 &bull; Apply the truth that real meaning and lasting purpose result from grounding your life in Christ. &bull; Learn that serving the body of Christ means serving the church. &bull; See how love and hospitality grow from acts of service. &bull; Develop leaders to be fearless and unashamed to serve Christ. &bull; See that self-discipline and self-denial result from stepping into the shoes of others to share Christ. Matt Brown is the founding and lead pastor of Sandals Church. He and his wife, Tammy, started Sandals Church in their Riverside, California living room in 1997. Matts goal in preaching and teaching is to encourage people to see themselves as Jesus does, to develop a relationship with God that makes them more like Jesus, and to pursue authentic relationships that move others toward Jesus. Matt, Tammy, and their three children live in Riverside, California. I'm the author/artist and I want to review Bible Studies for Life: Identity, Bible Study Book.